From an award-winning New York Times investigative reporter comes a gripping account of one of the most captivating and bizarre tales in the history of the FBI and corporate America. It was one of the FBI's biggest secrets: Mark Whitacre, a senior executive at Archer Daniels Midland--America's most politically powerful corporation--became a confidential government witness. Putting his career and family at risk, Whitacre, along with a small team of agents, tapped into secrets at ADM that led the FBI to discover the company's scheme to steal millions of dollars from its own customers. But as the FBI and federal prosecutors closed in on ADM, they suddenly found that everything was not all that it appeared. While Whitacre was cooperating with the Feds and playing the role of loyal company man, he also had his own agenda. Whitacre became sucked into his own world of James Bond antics, imperiling the criminal case and creating a web of deceit that left the FBI and prosecutors uncertain where the lies stopped and the truth began. 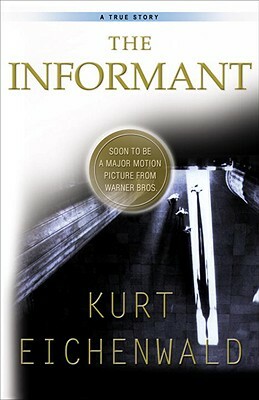 Meticulously researched and richly told, The Informant re-creates the drama of the story, beginning with the secret recordings, stakeouts, and interviews with suspects and witnesses to the power struggles within ADM and its board--including the high-profile chairman Dwayne Andreas, F. Ross Johnson, and Brian Mulroney--to the big-gun Washington lawyers hired by ADM, and on up through the ranks of the Justice Department to FBI Director Louis Freeh and Attorney General Janet Reno. Kurt Eichenwald is a contributing editor at Vanity Fair and a New York Times bestselling author. He previously wrote about white-collar crime and corporate corruption for the New York Times for twenty years. A two-time winner of the prestigious George Polk award for excellence in journalism and a finalist for the 2000 Pulitzer Prize, he has been repeatedly selected by TJFR Business News Reporter as one of the nation's most influential financial journalists. He is the author of Serpent on the Rock and Conspiracy of Fools. Eichenwald lives in Westchester County, outside New York City, with his wife and three children. "The Informant is epic in scope, a tale of human foibles--of greed, deceit, and arrogance--and also of the search for truth. Eichenwald has told it masterfully, with the narrative drive of a novel. I guarantee it'll keep you reading late into the night." "The Informant is superb reporting in the service of a great story, one with the drama and suspense of a Le Carré novel. Set squarely in the American heartland, delving into the inner sanctum of a global corporation, it explores the shifting boundaries of truth and deception, loyalty and betrayal. It is a remarkable achievement."